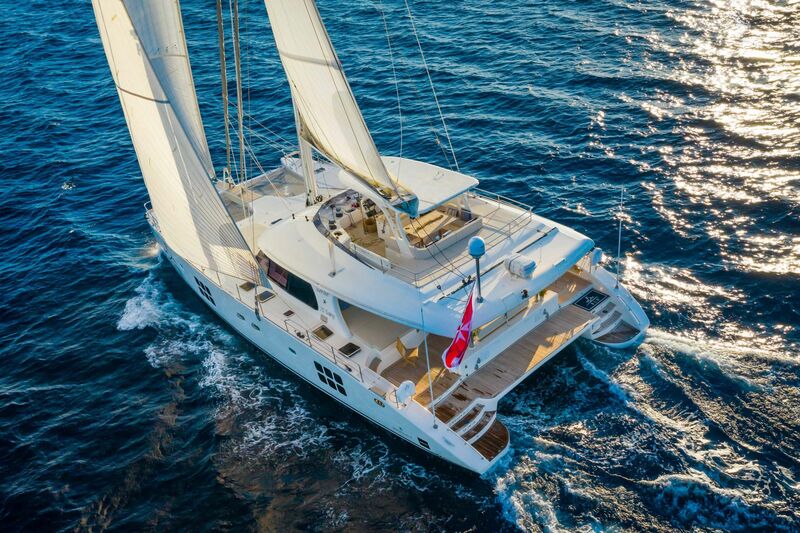 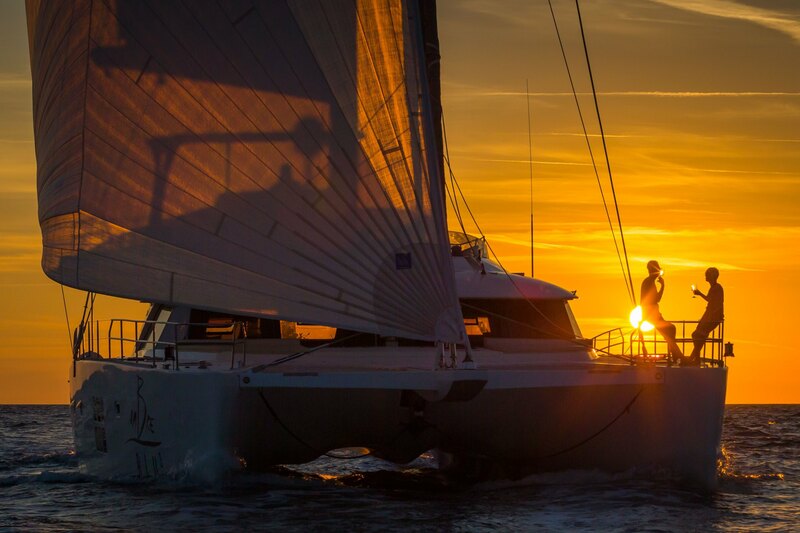 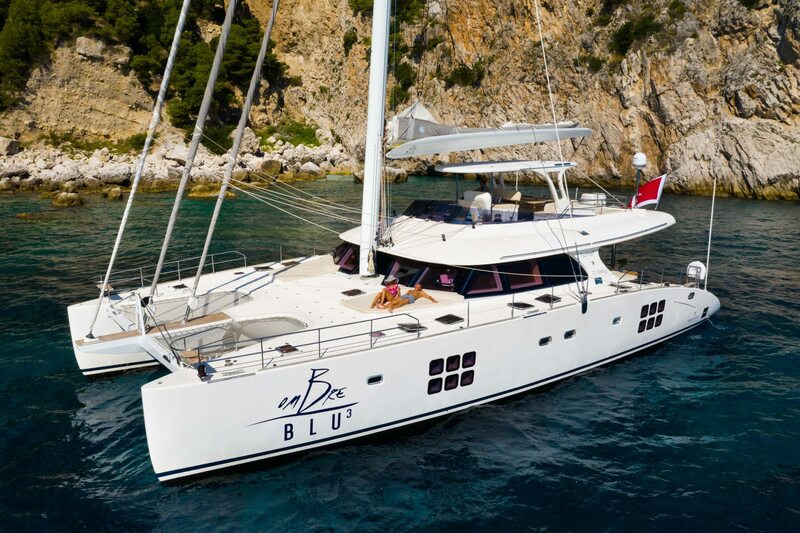 The 20.48 (67') sailing catamaran OMBRE BLU 3 was delivered in 2010 by the Polish shipyard Sunreef, she was refitted in 2018. 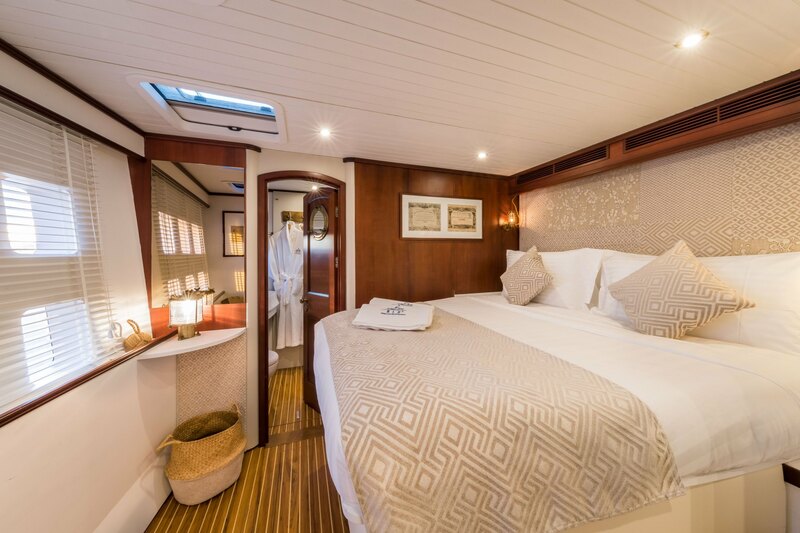 Accommodation aboard is for up to 8 charter guests, over 3/4 cabins. 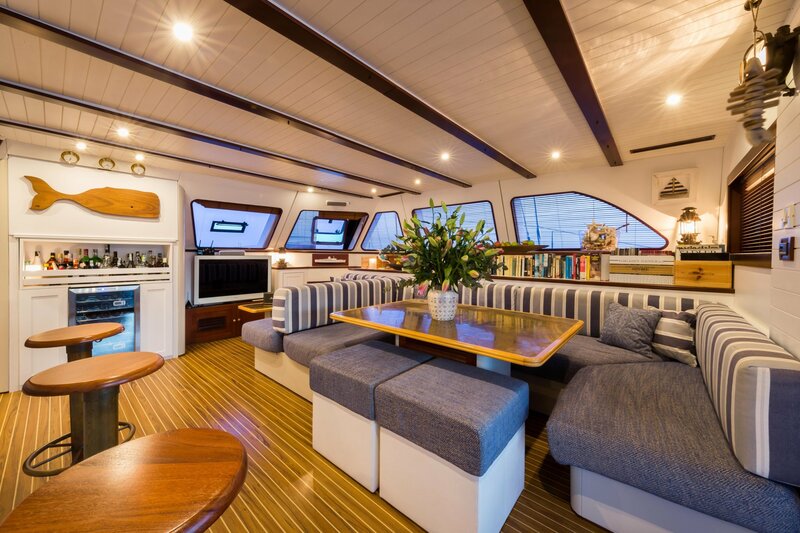 The yacht's interior is light and inviting, her salon and dining is open plan, offering a generous seating area, bar, and well-equipped galley. 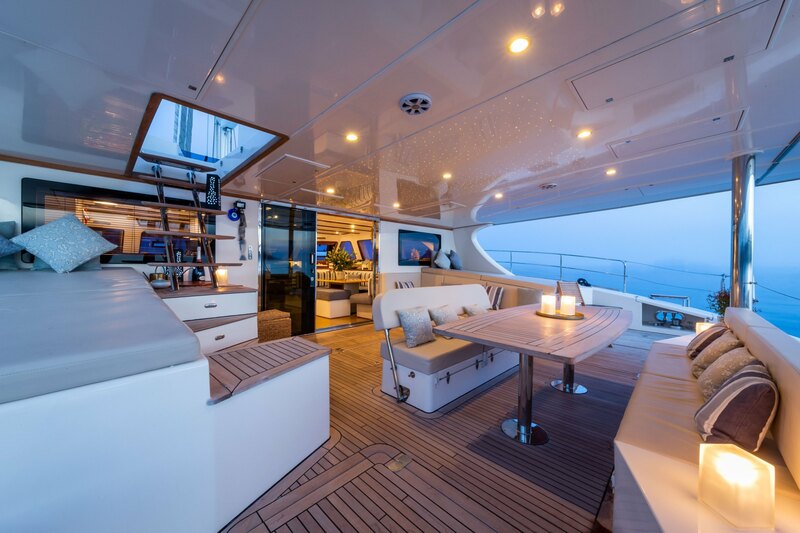 Surrounding windows ensure natural light and offer great views at anchor and underway. 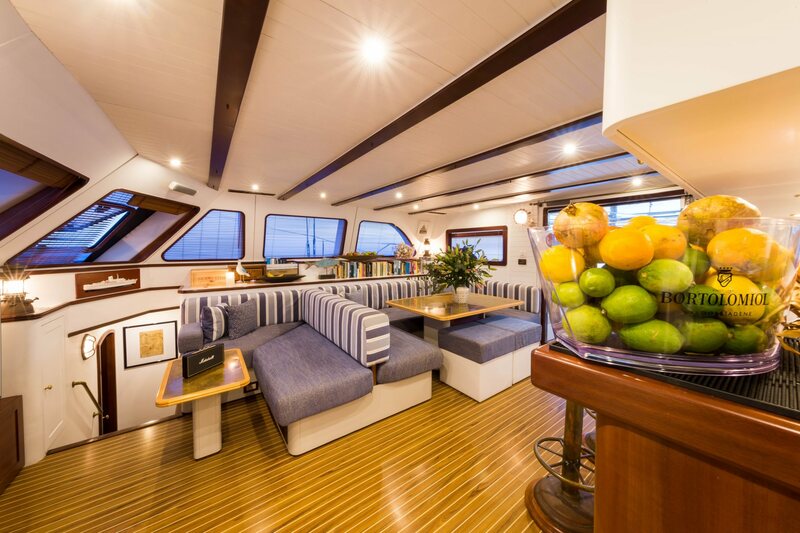 On deck, she features a shaded aft space with seating, side sun pads, and alfresco dining. 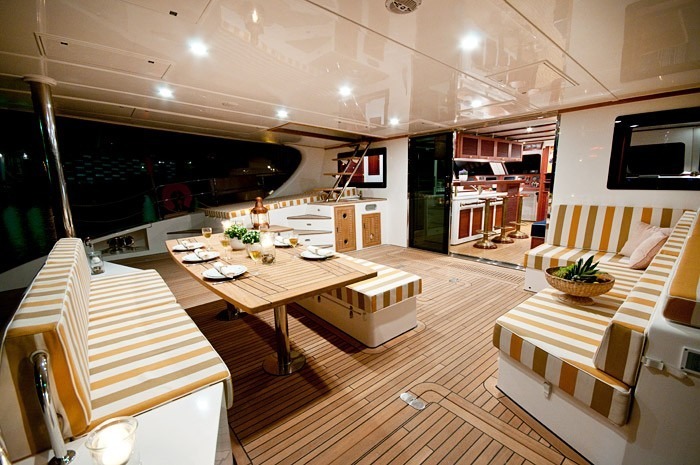 Wide side decks lead to the spacious foredeck and further sunning areas, including 2 safety trampolines. 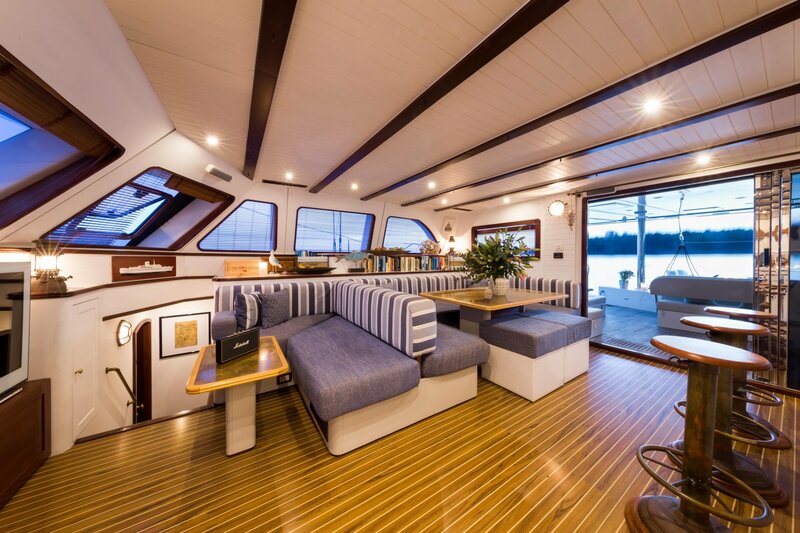 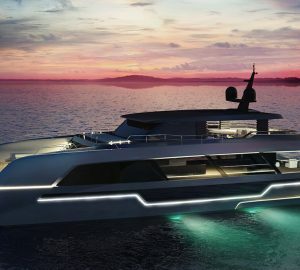 A flyover transom connects the 2 aft hulls and provides a relaxing spot to enjoy sunsets. 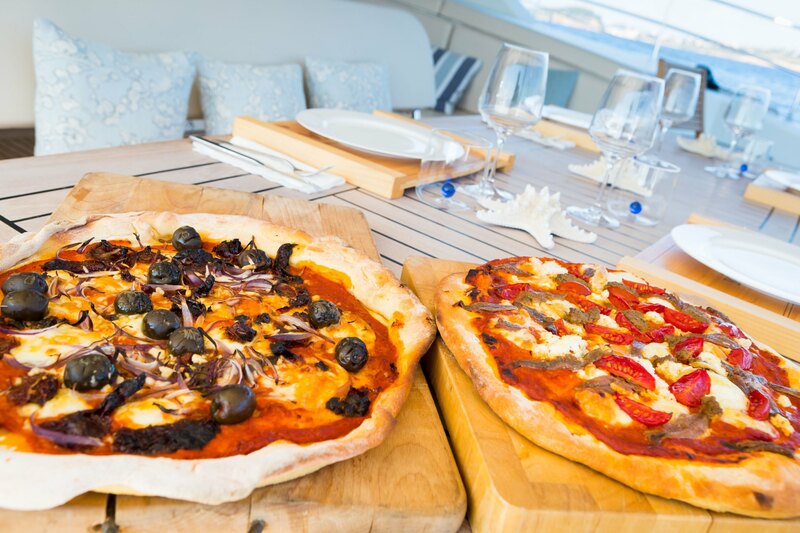 On the upper deck, there is partial shade, seating, sunning and alfresco dining. 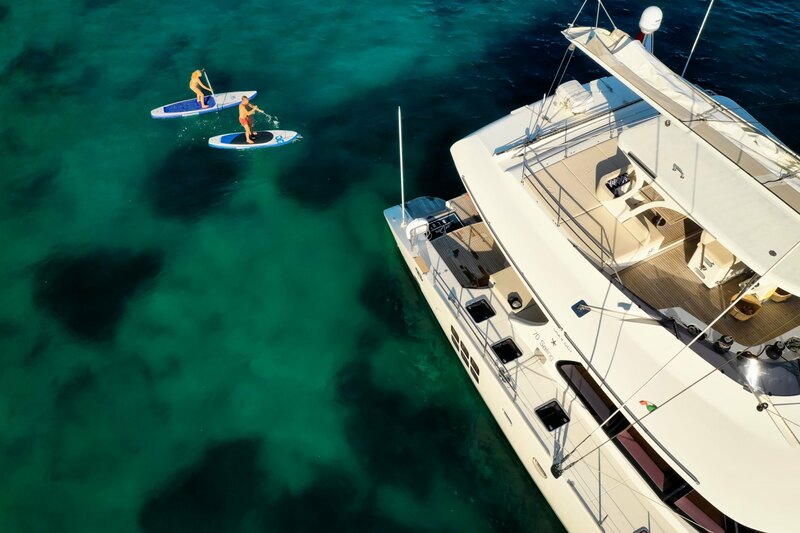 The Sunreef OMBRE BLU 3 is powered by twin Yanmar engines, with cruising speeds of 8 knots. 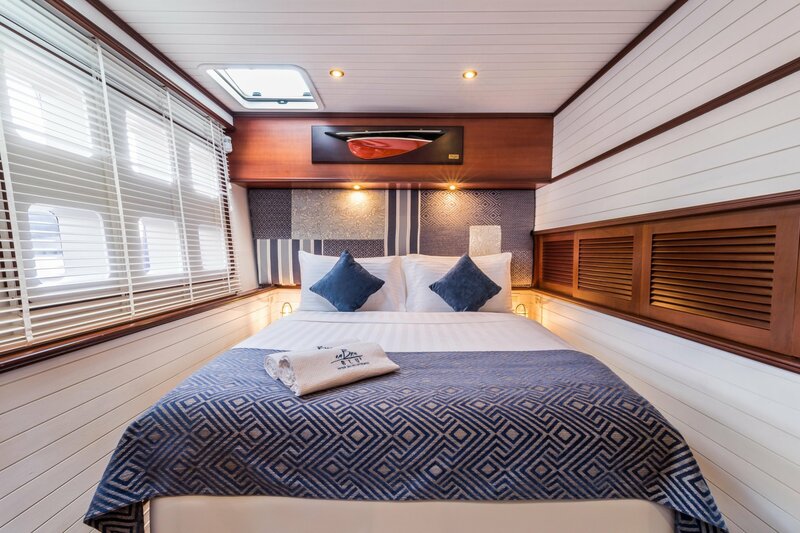 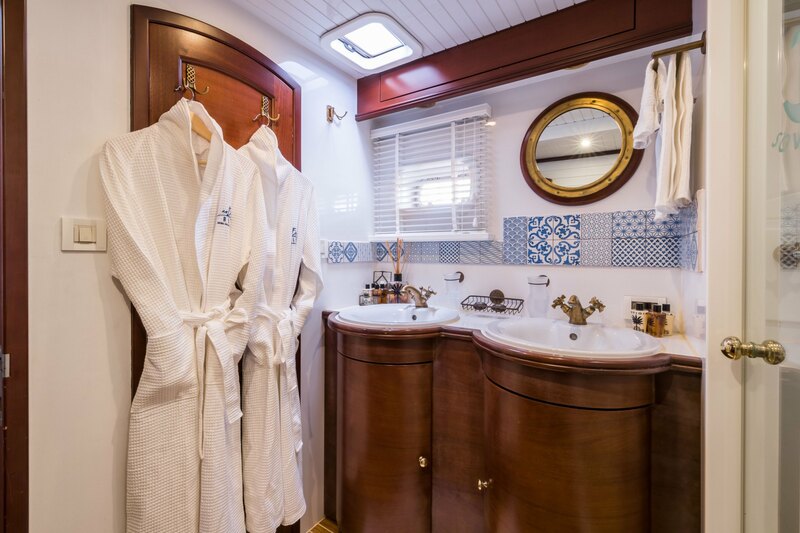 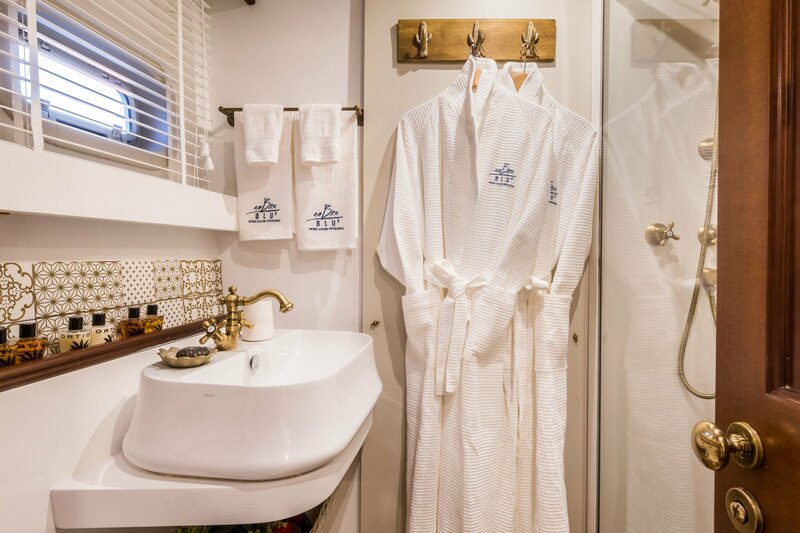 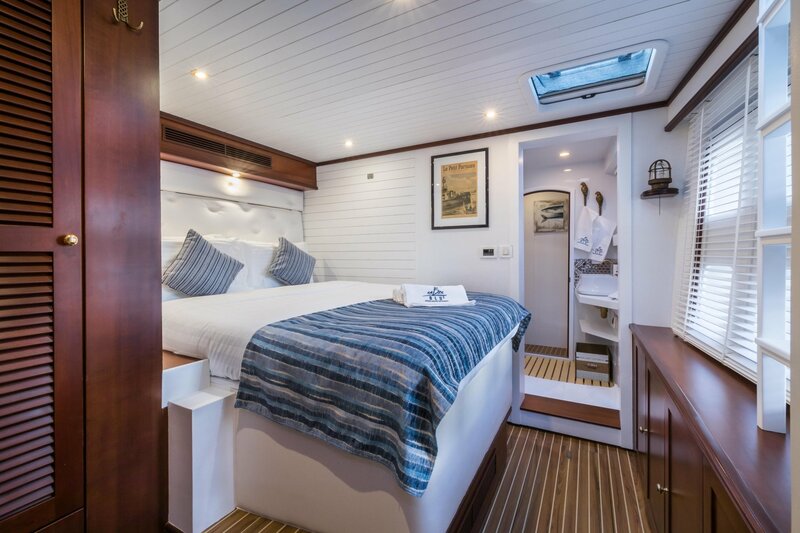 Accommodation comprises a master suite, 2 queen cabins and a bunk cabin, for 6 charter guests, with an optional bunk cabin for 2 children upon request. 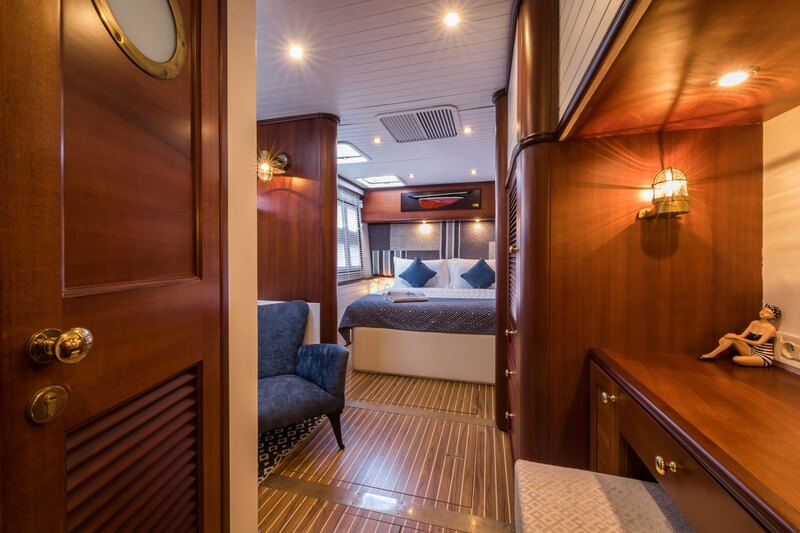 Tenders & Toys: ~1 x 5m Castoldi 15 Turbo diesel Jet tender ~2 x Inflatable kayaks (for 2 persons) ~2 x Inflatable stand-up paddle boards ~8 Sets of snorkeling gear + fins ~Wetsuites of all sizes ~Waterskis ~Wakeboard ~Wide swimming platforms provide easy access to the water ~Dive compressor ~8 x Scuba diving sets (masks, snorkels, fins, wetsuits) ~Master Scuba Diver Trainer, 24/7 onboard; OMBRE BLU³ is a PADI registered diving center. 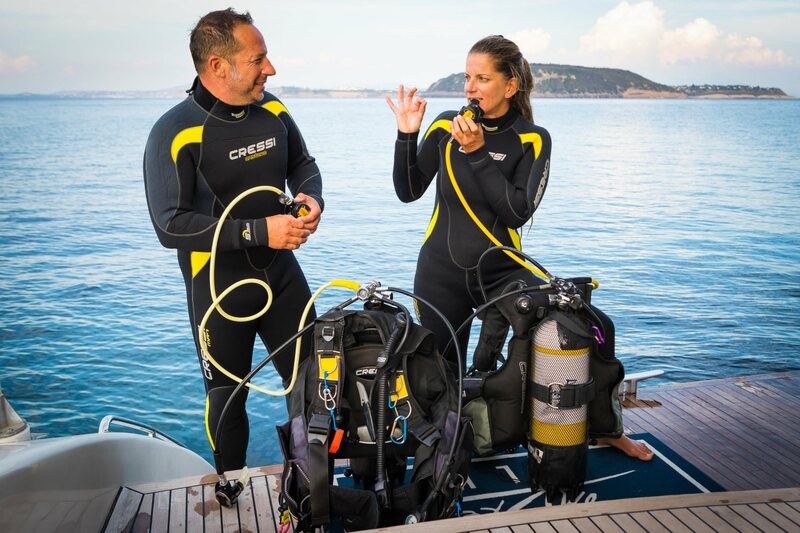 It is possible to organize diving courses and issue diving certificates on board. 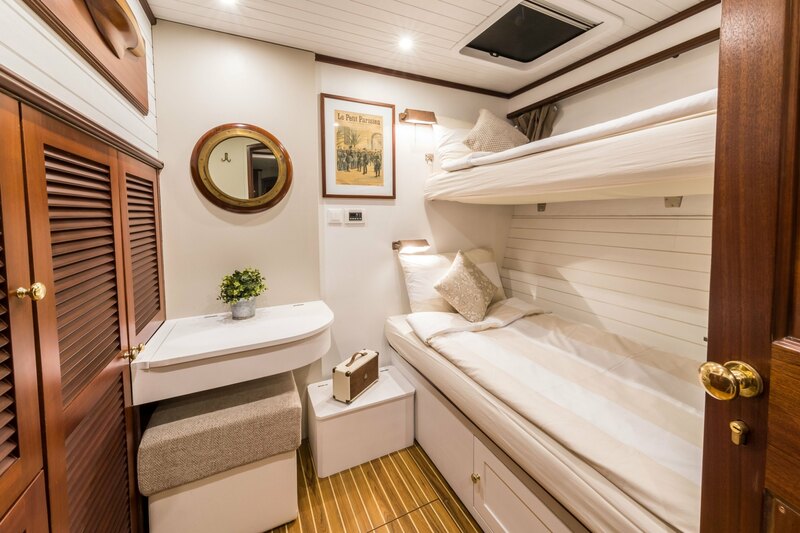 Audio Visual Equipment and Deck Facilities: ~Satellite TV ~SKY TV in saloon: News, Sport, Cinema, Documentary & Lifestyle, Kids, Music, Fox, CNN, BBC, Bloomberg, etc. 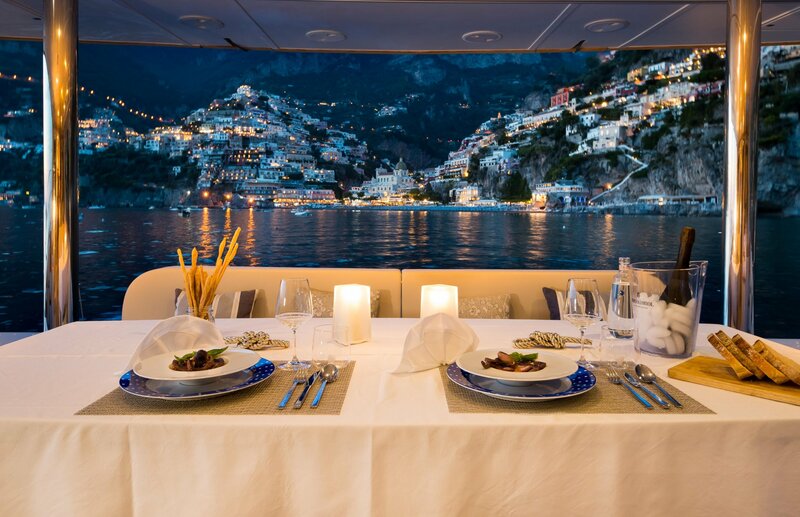 All SKY channels are available in Italian or their original spoken language. 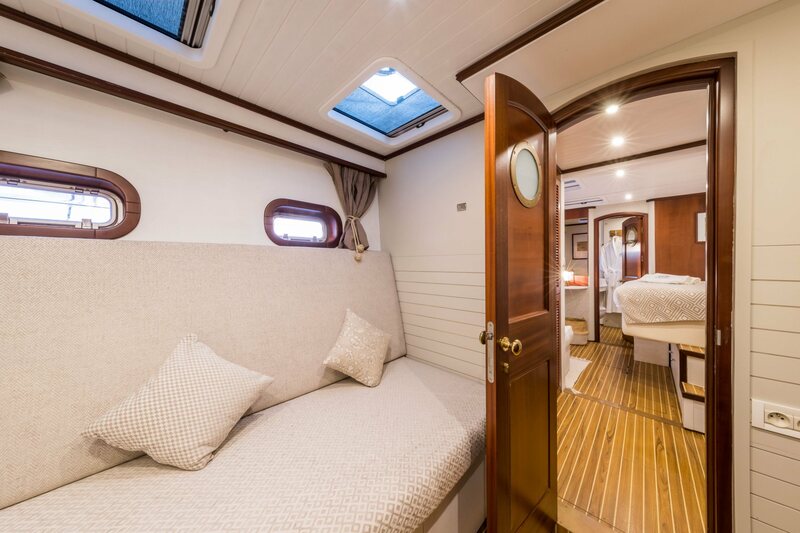 ~Saloon: Widescreen 32" Samsung LCD TV & Harman Kardon Hi-Fi system & home cinema ~Saloon: DCD/MP3 reader + loudspeakers Communications: ~1 x KVH 3 satellite antenna ~1 x Portable Inmarsat cell Phone, HF ~Guests will have free WiFi up to 30GB of data usage. 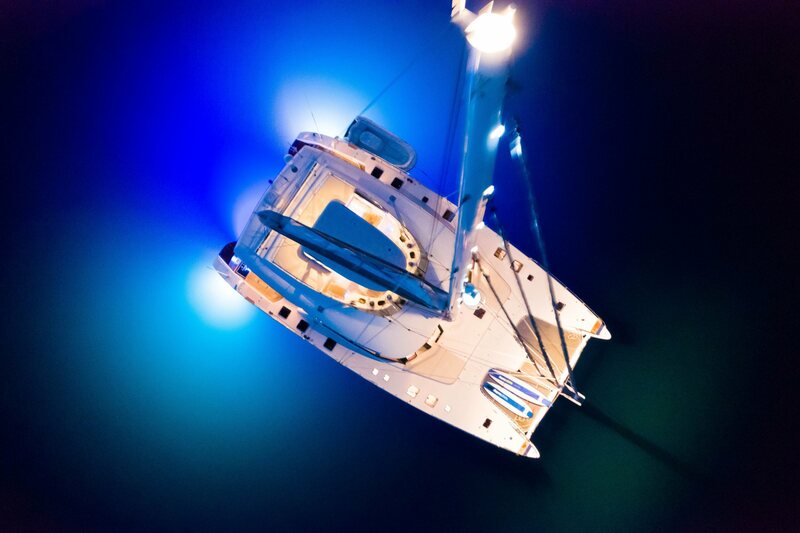 Paid re-charges are available on board. 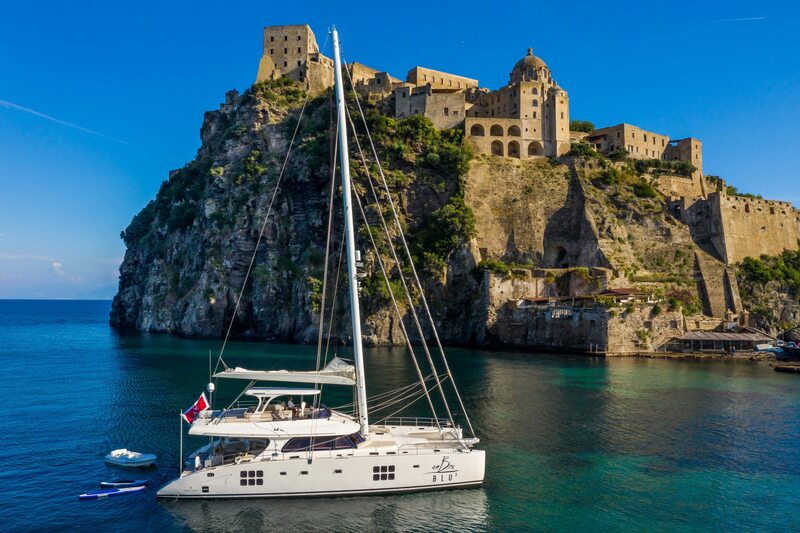 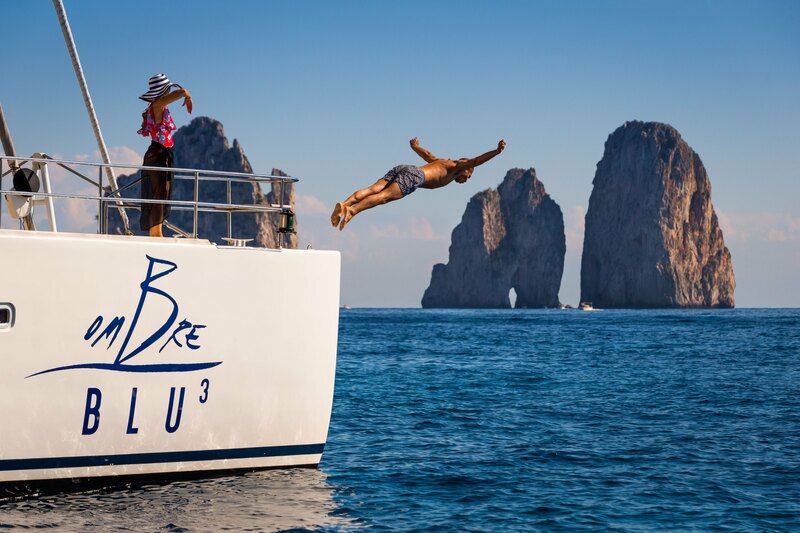 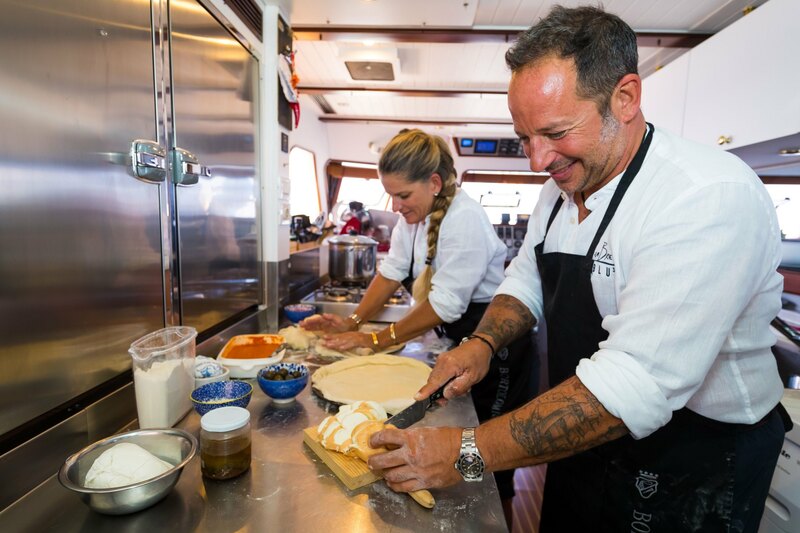 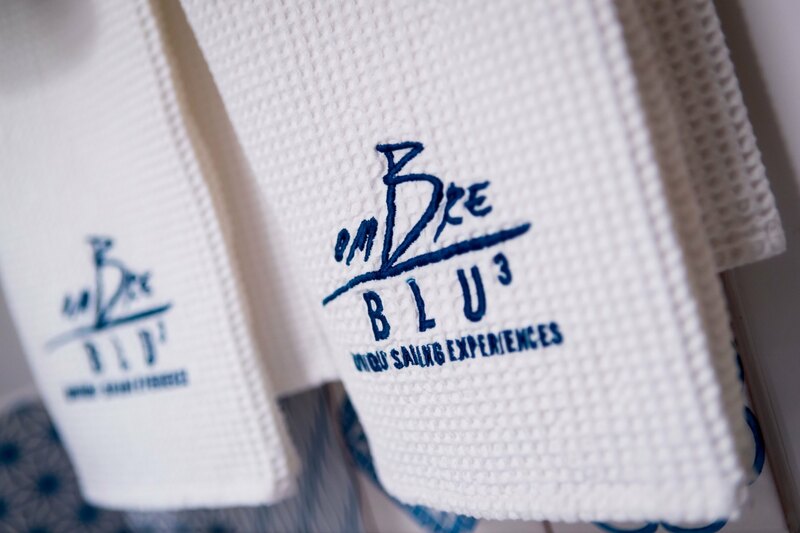 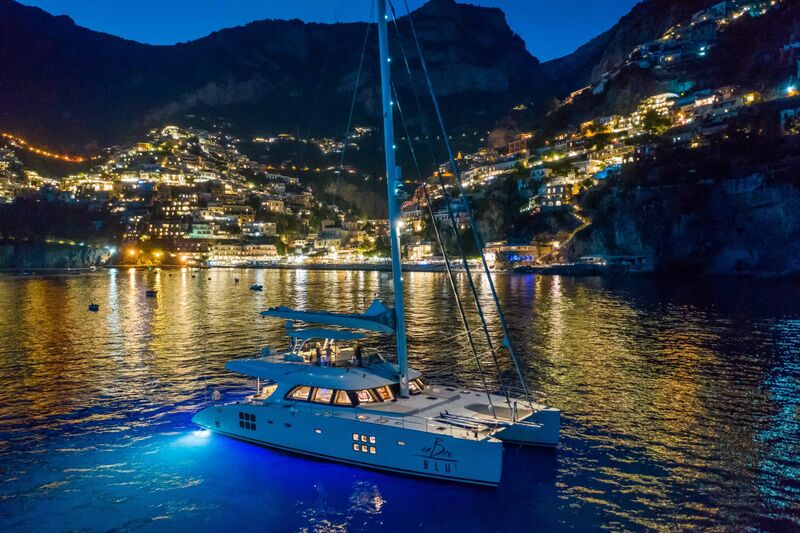 OMBRE BLU3 is offering guests who charter during the month of May or the first week of June for a minimum of 3 nights*, a complimentary tasting menu and wine pairing at the 2 star Michelin restaurant “La Torre del Saracino”.